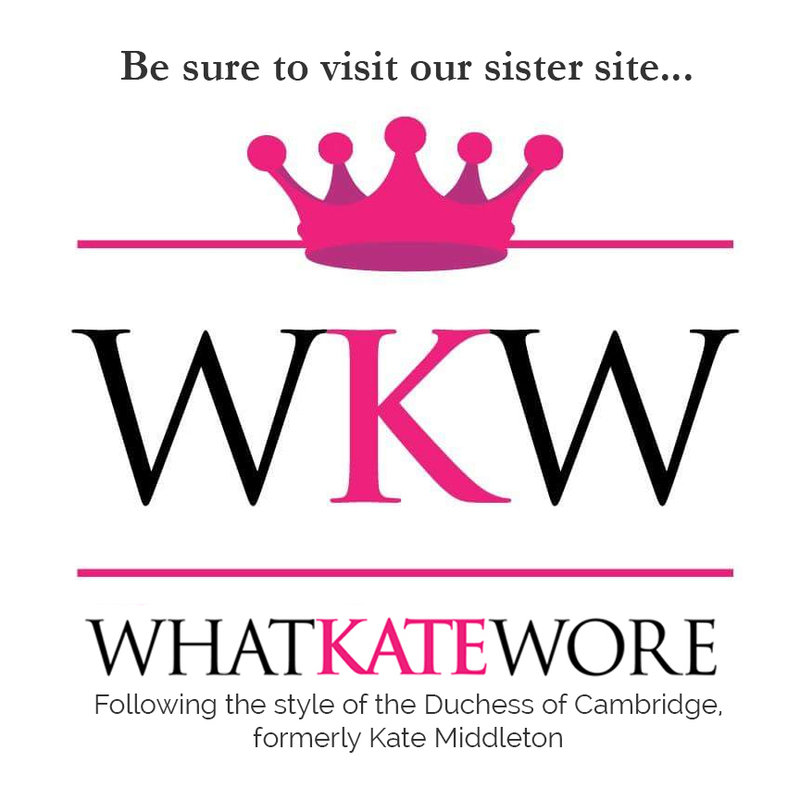 The announcement was made by Kensington Palace at 10am this morning EDT/3pm in London. Kensington Palace also announced the new account on Instagram. 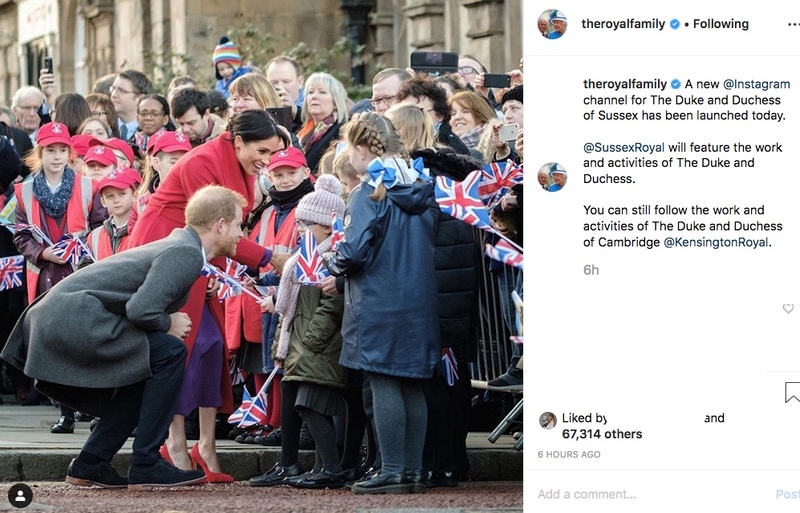 The official Royal Family account on Instagram also posted. As anticipated, the new account is very popular, hitting 1,000,000 followers in less than six hours. As of 9pm the follower number has grown to 1,700,000. 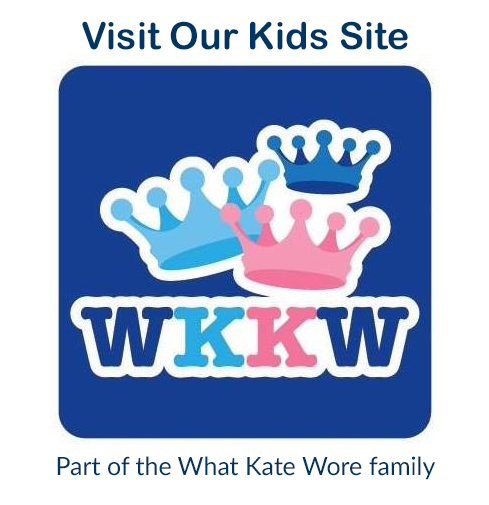 The decision gives the Sussexes and their staff much greater control over the public’s interaction with their posts, with Instagram – unlike other social media platforms – granting the ability to filter and delete unsuitable or unwanted comments. Not only did royal fans follow the account, friends and celebrities also followed Sussex Royal. More from Hello! 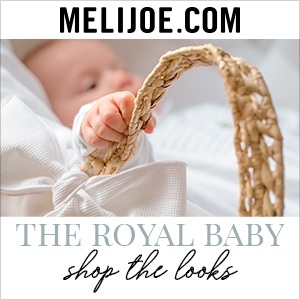 The Duchess’ BFF and unofficial stylist Jessica Mulroney, who met Meghan when she was based in Toronto for Suits, was one of the first stars to follow the new royal account. 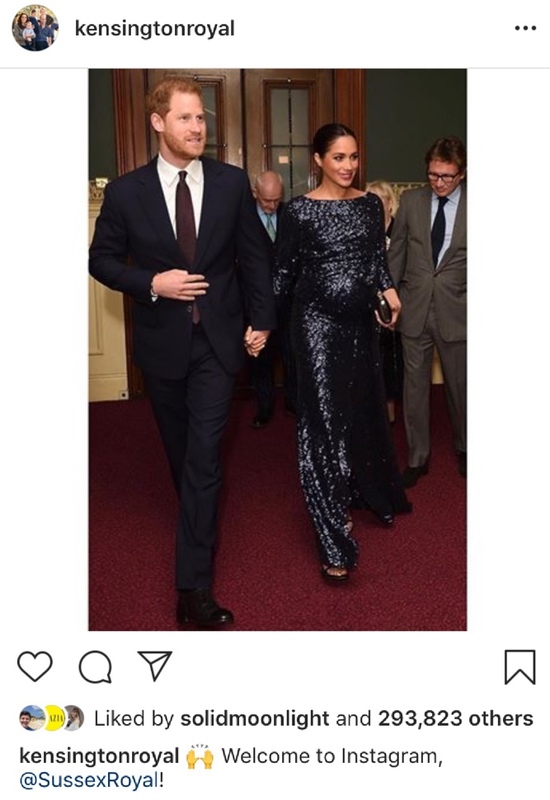 Daniel Martin, the makeup artist behind Meghan’s wedding day look and her close friend, was another and even wrote on his own Instagram: “Follow my peeps cuz #sharingiscaring @sussexroyal…” Fellow actress Priyanka Chopra, who was one of the Hollywood guests at the royal wedding last May, also followed the @SussexRoyal account, as did Prince Harry’s good friend and charity supporter, David Beckham. If curious who Sussex Royal is following, here is a graphic showing the 23 accounts (as of 5pm Tuesday, April 5). As you would expect, the majority are charities they are involved with, and the other official royal accounts, including the verified pages for Prince Andrew and Princess Eugenie..
Also today, sad news from Australia. 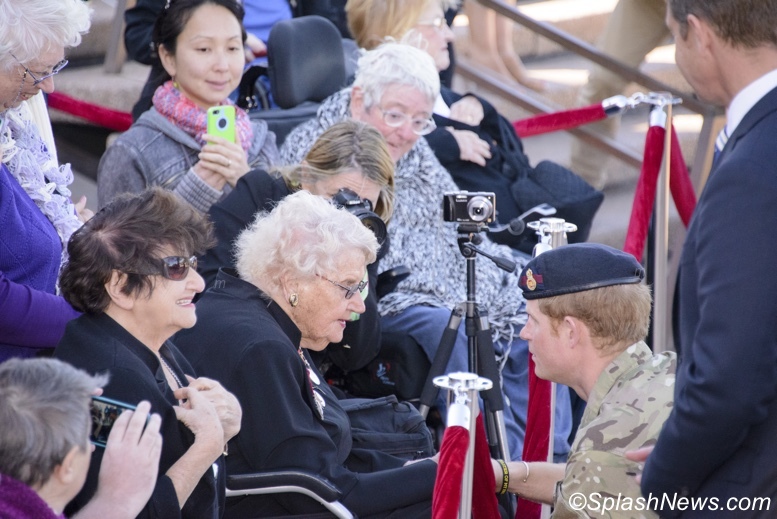 Many will remember Daphne Dunne, the 98-year-old ‘superfan’ the Duke and Duchess saw when in Australia last year. 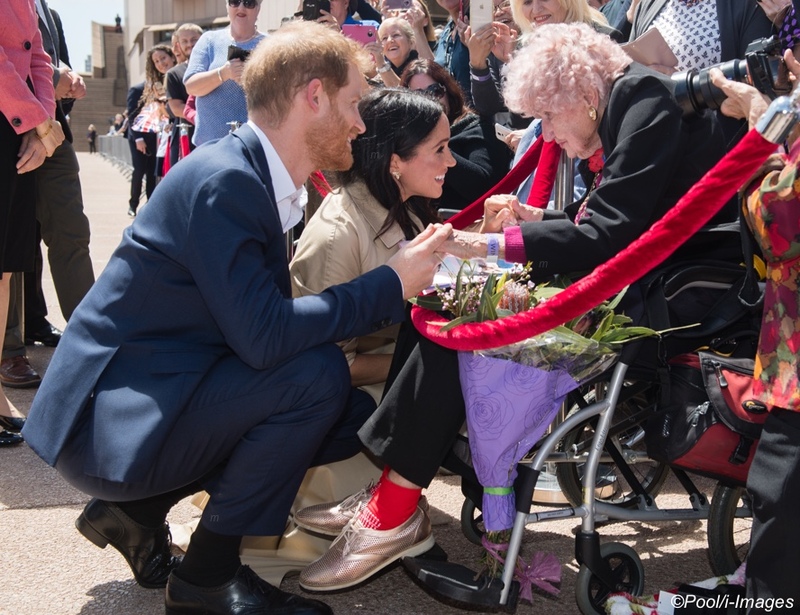 Prince Harry had already met Mrs Dunne on two other occasions before the October tour, and very much wanted to introduce Meghan to her. More in this story from ITV’s Chris Ship. Here you see Prince Harry at that initial encounter in 2015. Back to The Telegraph’s article. She told him how her first husband Lieutenant Albert Chowne died aged 25 in 1945 — just a year after they married — in a­ heroic­ attack on a Japanese machinegun post in Papua New Guinea. The red roses that Lt Chowne had arranged to be sent to his young bride on her birthday ­arrived just before the news he had been killed. Lt Chowne also won a military medal in 1943. 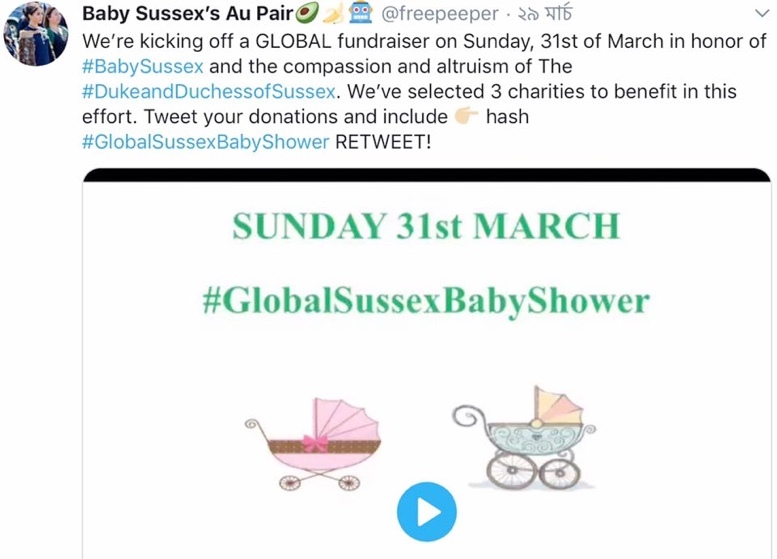 On a more upbeat note, we have the latest about an online baby shower honoring Baby Sussex. 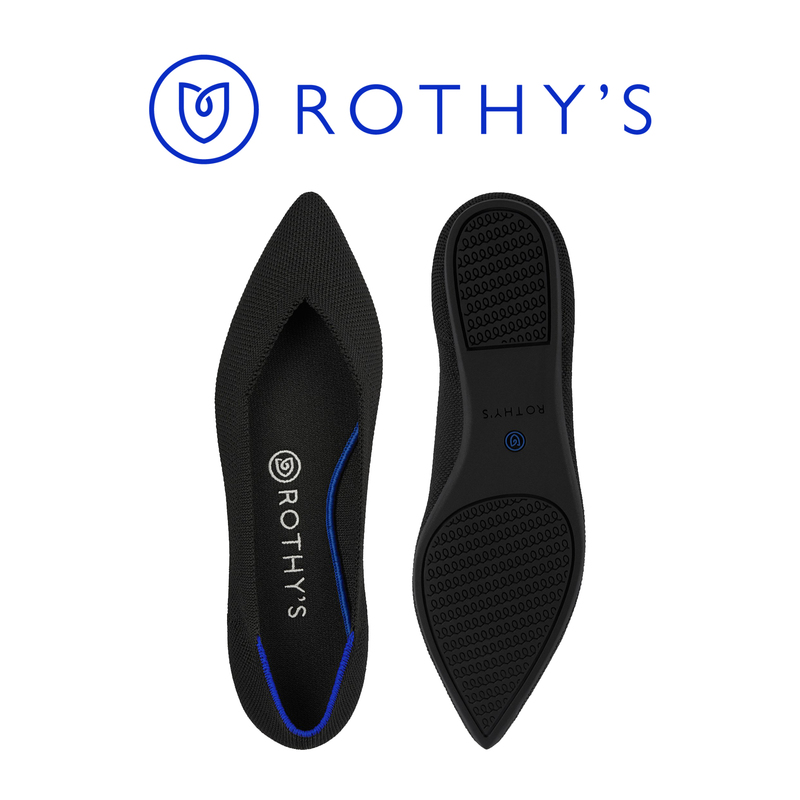 The idea was launched on Twitter last week. 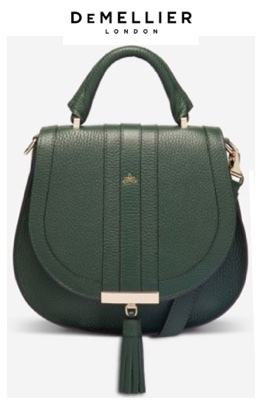 The organizers suggested people make donations to three charities Meghan and Harry are affiliated with: WellChild, the British children’s charity, The Mayhew animal rescue and education service, and Camfed, the campaign for Female Education. 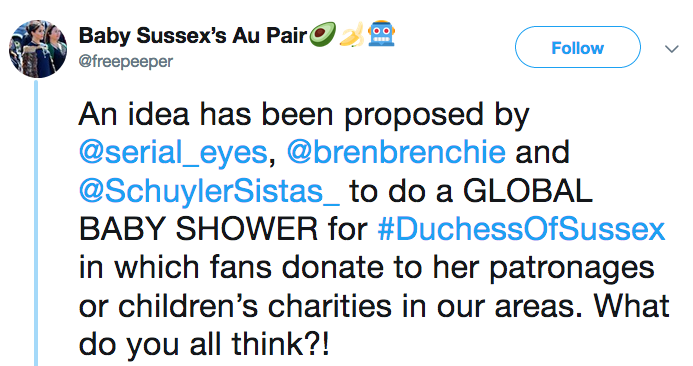 They encouraged people to tweet about their donations using the hashtag #GlobalSussexBabyShower. 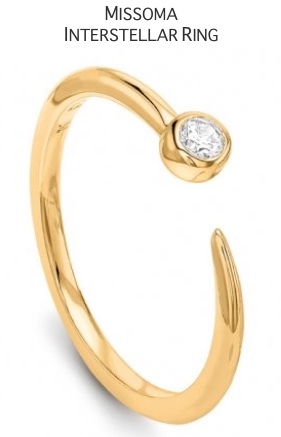 The campaign officially launched on Mothering Sunday, Mother’s Day in the UK. The idea took off, with charities receiving thousands of dollars in donations. Below, reaction from The Mayhew. 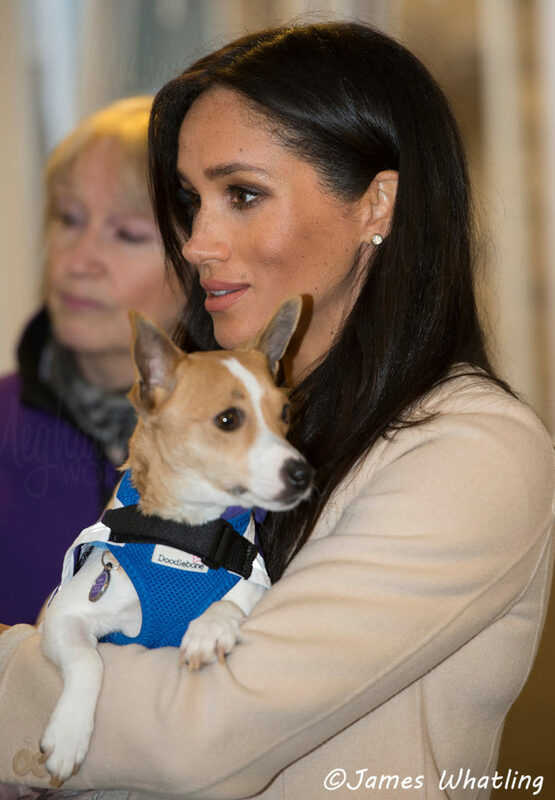 Below, Meghan visiting the Mayhew. As of yesterday, Camfed had received enough donations to fund another year of school for girls in Africa. WellChild also had a big uptick in donations. 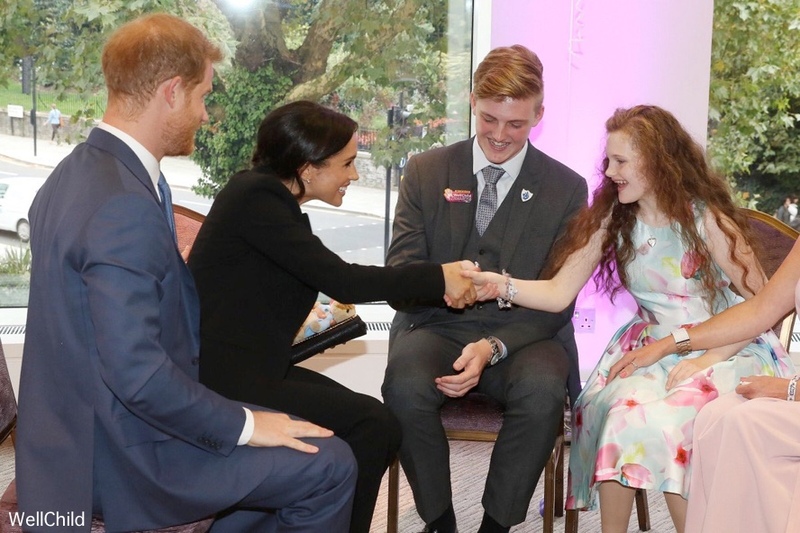 Meghan and Harry at a WellChild event in October. The organizers encouraged people to donate to charities of their choice if they wanted or to give locally if so inclined, and also to give of their time if possible. A myriad of other organizations also received donations included Sentebale, Education for all Morocco and many others. The Invictus Games Foundation, Smartworks, and the One25 charity were added to the list of suggested charities on Monday. 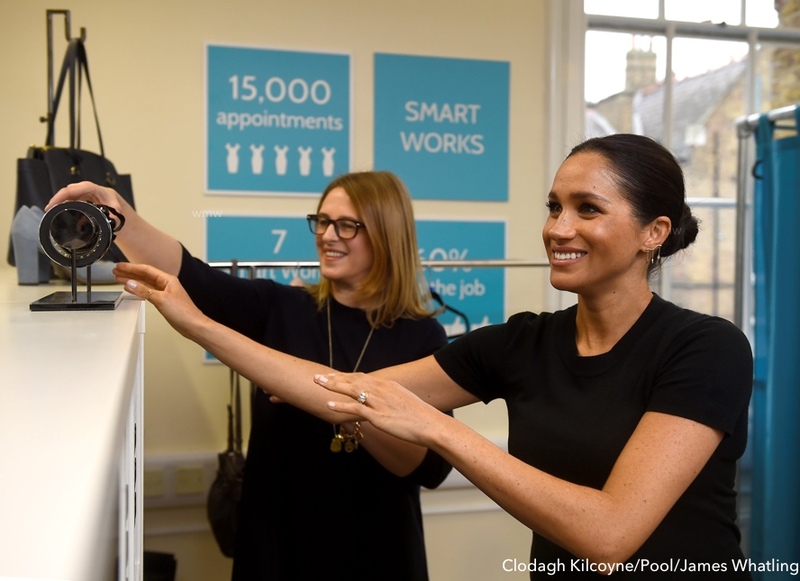 Below, the Duchess at SmartWorks in January. More than £22000 has been raised thus far. (I think the amount is significantly higher, it’s just hard to locate an updated total.) The fundraiser runs through April 30th, so there’s still plenty of time to take part! One final bit of healthy and fun information. 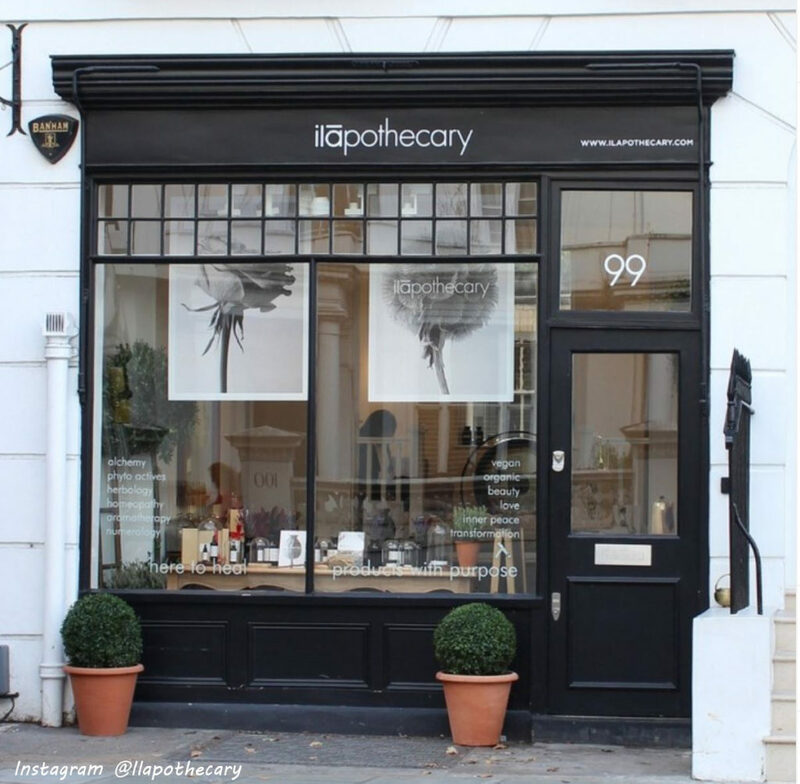 Meghan and Harry were out and about on Friday for a visit to Ilapothecary in London. The organic shop offers products infused with all natural ingredients such as British herbs – Borage and Thyme and Rose Geranium, a medicinal flower. 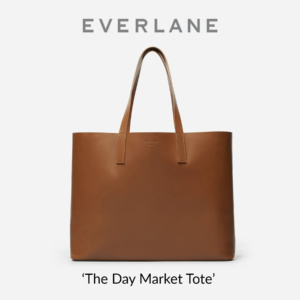 Items include skin and body care, fragrances, as well as candles and other home items. 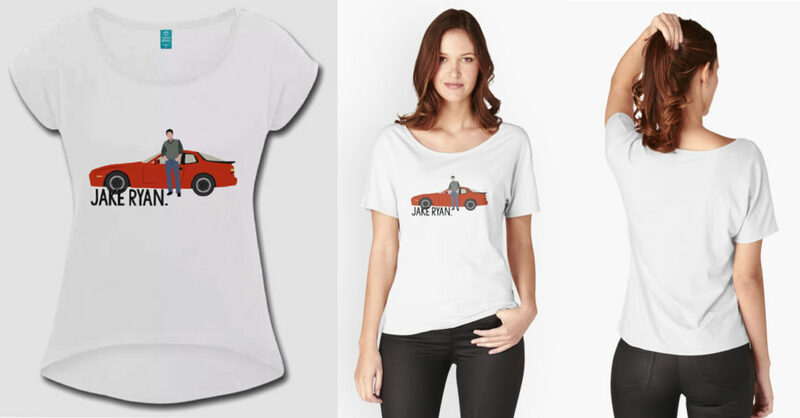 Meghan was dressed casual in a new yet ‘old-school’ graphic t-shirt, the ‘Jake-Ryan’ women’s relaxed fit tee ($25.61). 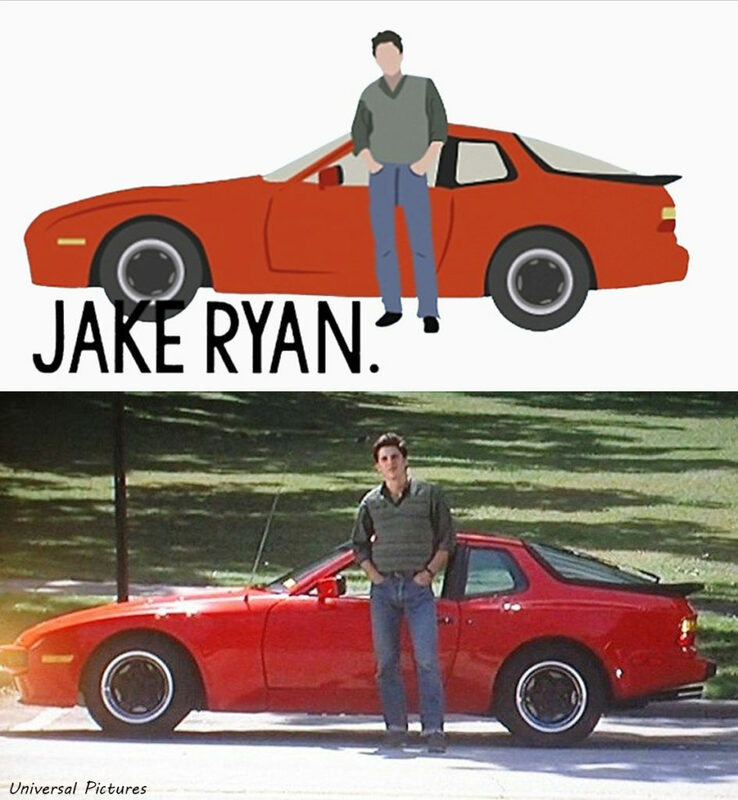 The ‘Jake-Ryan’ graphic is a scene from the famous John Hughes movie, Sixteen Candles (WMW –Susan Courter’s all-time favorite movie!). Those familiar with the scene will recall Jake, the leading heart-throb of the film, standing in front of his 1983 Porsche 944 waiting for his girl, Samantha Baker, to appear out on the steps of the church after her sister’s wedding. 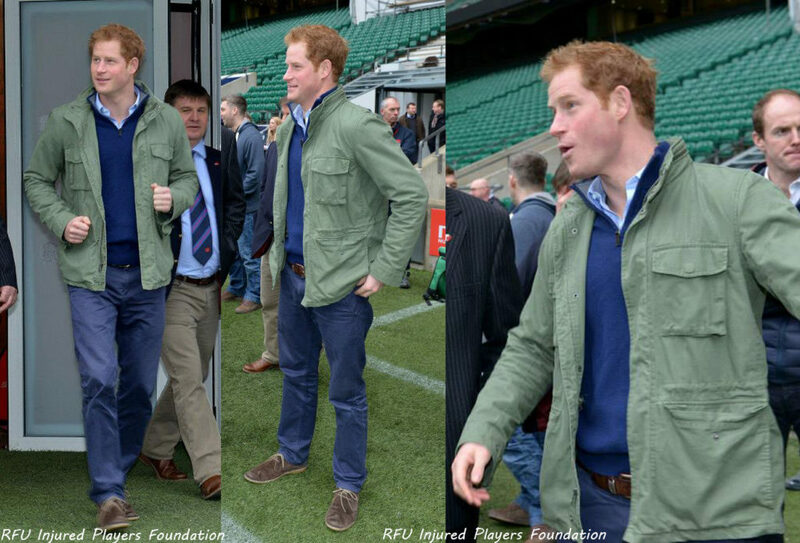 The Duchess was also wearing Harry’s green army jacket. Our thanks to Meghan’s Mirror for the jacket ID. 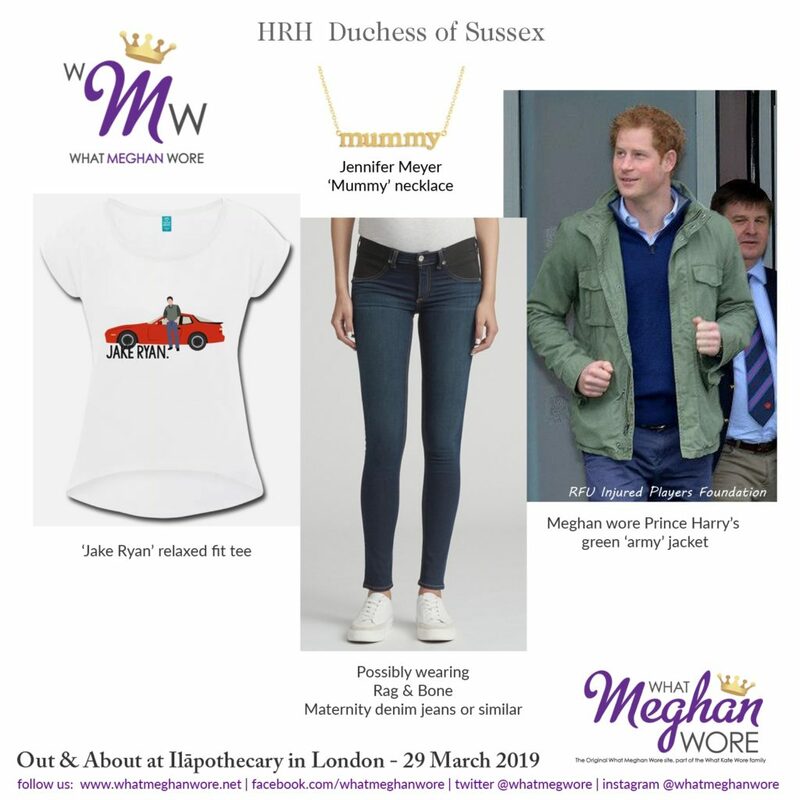 Meghan also had on a pair of denim maternity jeans. 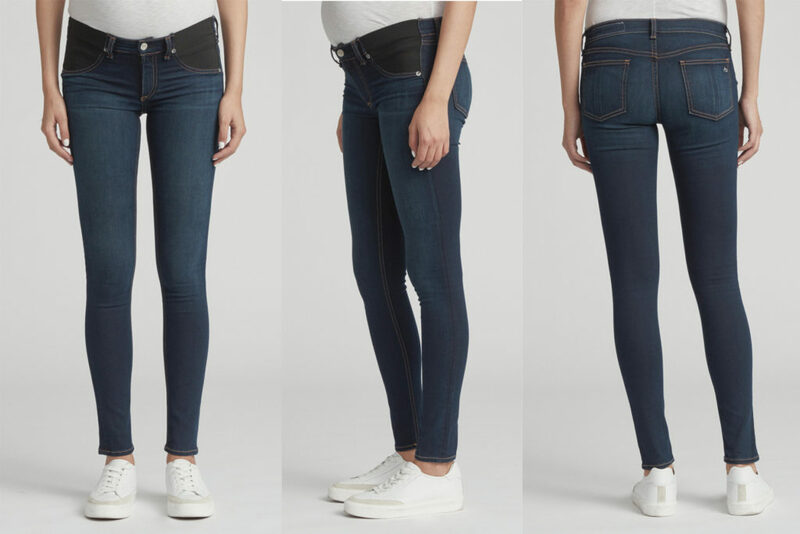 This pair of Rag & Bone Maternity jeans in Bedford ($225) is a close match to the pair Meghan is wearing. UPDATE 4/5: We have not yet found an exact ID for Meghan’s tennis shoes. 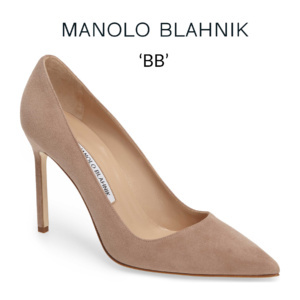 They appear to be an off-white canvas pair with a rubber toe cap edge. After much searching, Meghan’s tennis shoes appear to by Spring Court. They are the G2 Washed-Out Vintage Heavy Twill in Off White, $82.00. 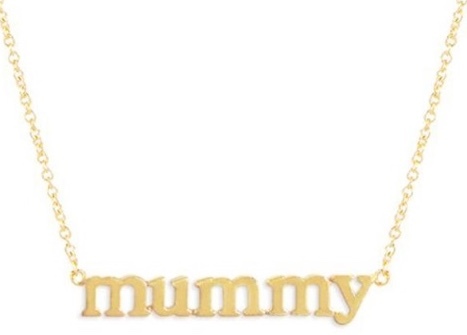 And she had on her Mummy necklace by jeweler Jennifer Meyer. And our graphic look at the ensemble. For more information on the outing, you can visit PopSugar for their article. Ups and downs. 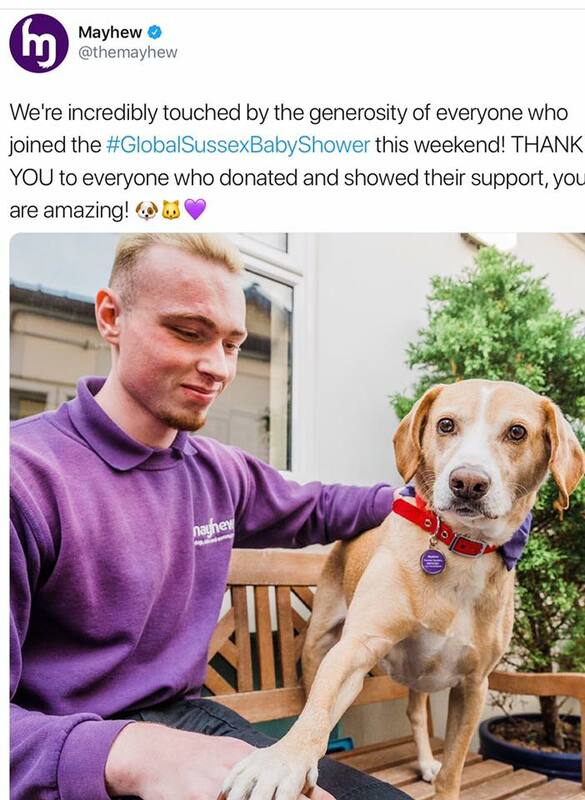 Very hugh up with the GlobalSussexBabyShower and IG account, but so very sad about Harry’s friend Daphne. RIP Daphne, you were one of my favorite parts of the tour. I am very happy to be able to participate in this baby shower and plan to do so throughout the month. Wow, that global baby shower is such a wonderful idea. That’s very inspiring. I just love the thought of all these donations being done in Meghan’s name. 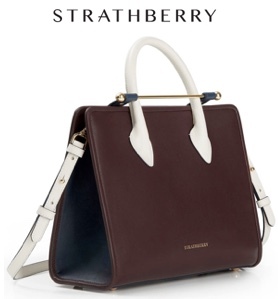 That’s just wonderful. The attention that Harry has paid to Daphne over the past few visits has been lovely. 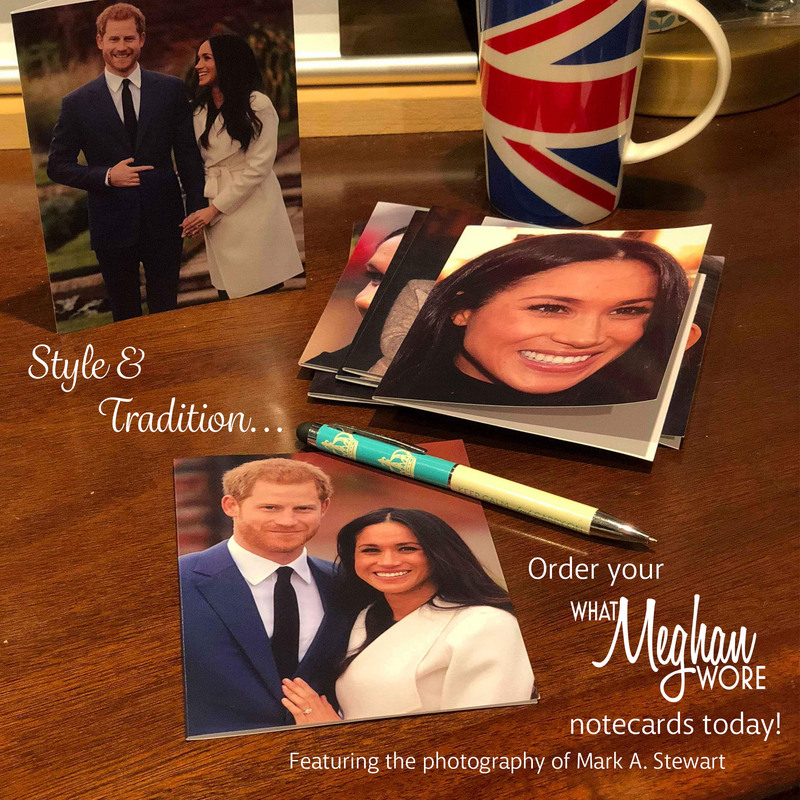 How nice that he was able to introduce her to Meghan and how wonderful that their 99th birthday wishes arrived. Harry is his mother’s son when it comes to warmth and caring about others.